La Maison Jolie: Experience the world of Coco Chanel at Chez Mademoiselle! Experience the world of Coco Chanel at Chez Mademoiselle! If you are looking for a delicious sweet treat or a quick caffeine fix à la française, a visit to Chez Mademoiselle is a must! 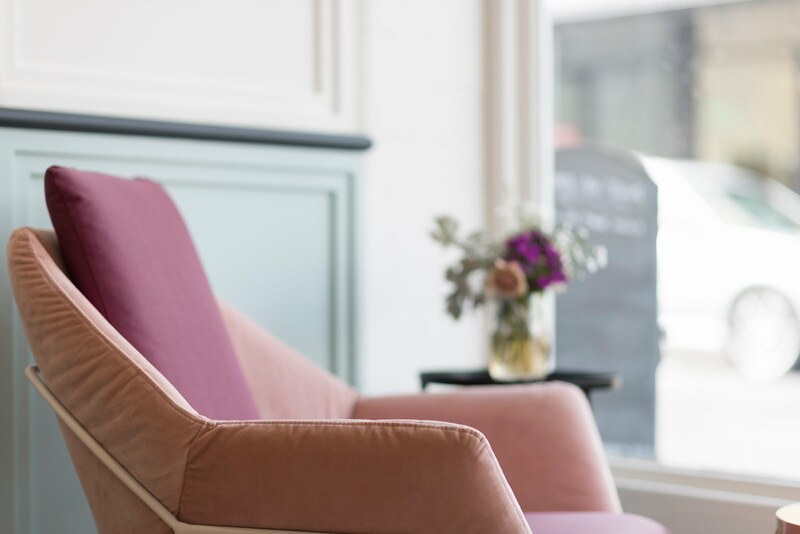 Located on Prahran’s bustling Greville Street and nestled right next to the famous French bistro, Chez Olivier, Chez Mademoiselle is a brand new French deli & café that will transport you to France as soon as you step through the doors. But beware...once you enter, you may never want to leave! 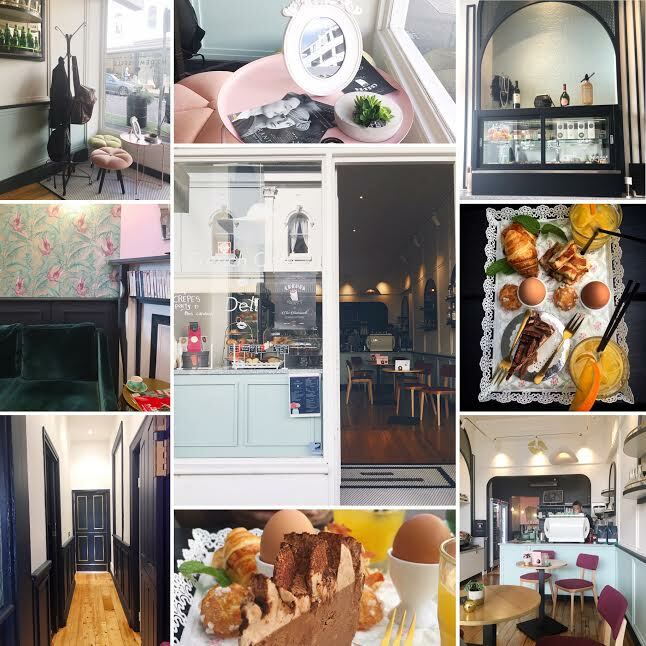 Last weekend, I visited Chez Mademoiselle for a spot of petit déjeuner and I was fascinated by the fresh décor, the food and the service. While travelling through France, I'd visited a fair few cafés and had always admired the beautiful aesthetics and sense of style. However, this is a far cry from the gilded baroque beauties or the bohemian salons with their rough-hewn tables and eclectic ensemble of stools. 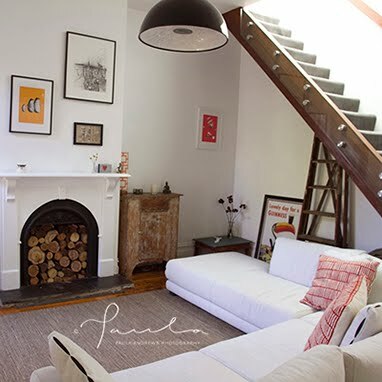 Chez Mademoiselle is design forward, chic and cosmopolitan! From the neutral pastel palette in the front room to the bold hummingbird wallpaper in the ladies lounge at the rear, the Hat pendant light in the window to the custom wall lights in the back room, the stylish accessories and the swanky café furniture, the chic black scalloped tiles in the restroom to the petite penny round tiled entrance, everything is subtle but sensorial. 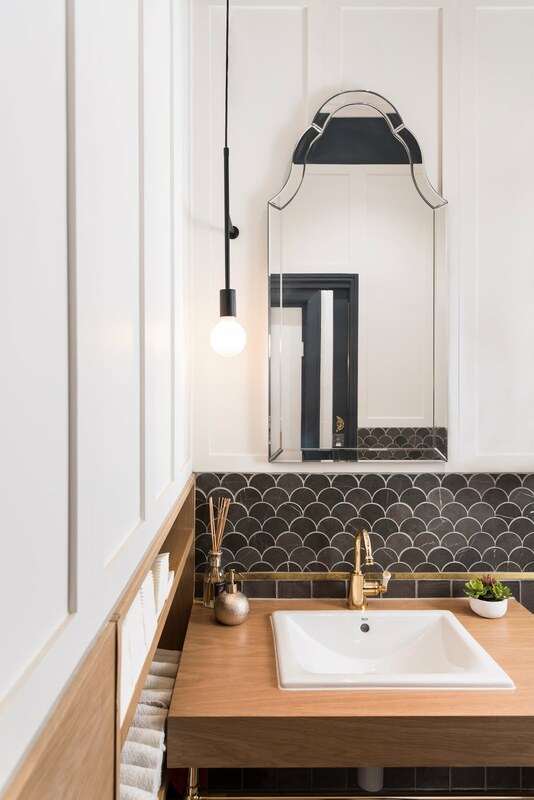 The details behind the well balanced spatial design of Chez Mademoiselle has been conceptualised by Melbourne’s go-to interior design agency Studio Y. With a focus on constructive imagination, audacious aesthetics and playful practicality, the café's design is unparalleled to anything I have yet to see in the area. Every inch of this fabulous café has been styled to perfection, leaving you with the feeling of having stepped into one of Avenue des Champs-Elysées’ finest pâtisseries. I had the opportunity to interview the interior designers from Studio Y- Yaron Kanor and Sophie Metcalfe to get a better understanding of the client brief and design choices. Can you describe the project - Chez Mademoiselle? 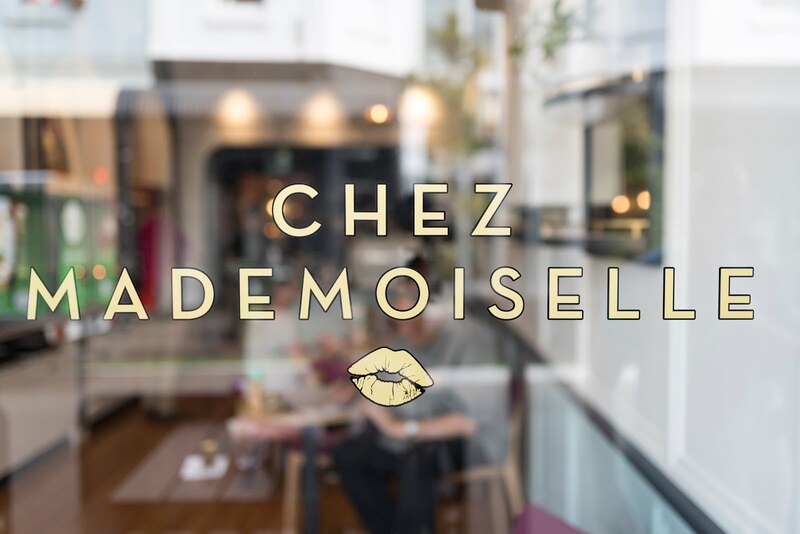 Chez mademoiselle is an unflinchingly feminine French deli in the heart of Greville Street. 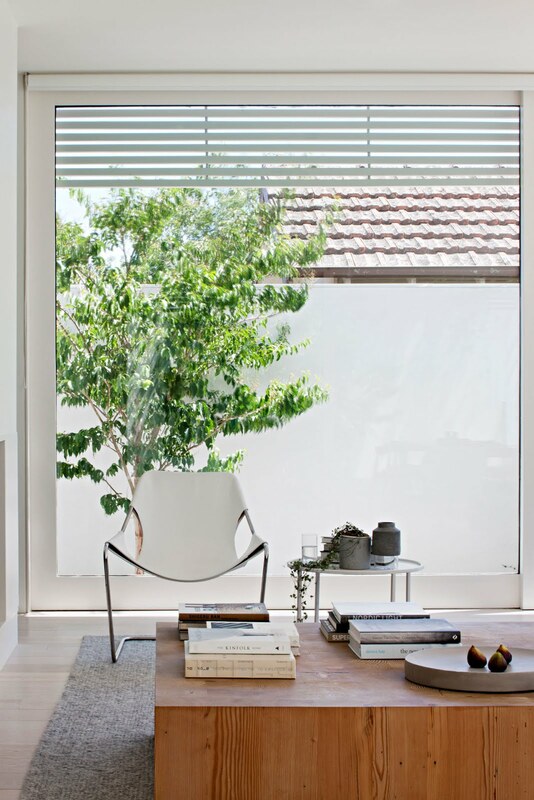 The front café area is quite neutral with bold line work and soft tones; it works as the browsing area. This has been adorned not only with the food on offer such as freshly baked bread, macarons and pastries; but also elements of high fashion which in a way ‘elevates’ the offer. 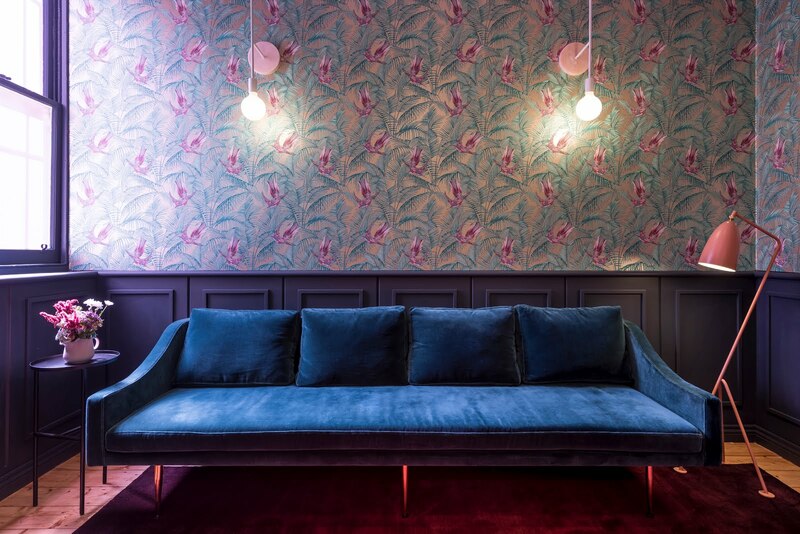 The lounge in the back on the other hand has been layered with floral wallpaper, velvet upholsteries and pink hues. Acting as the ‘dressing room’ or ladies lounge, it is the space which shows the alternative ego of our strong modern woman. 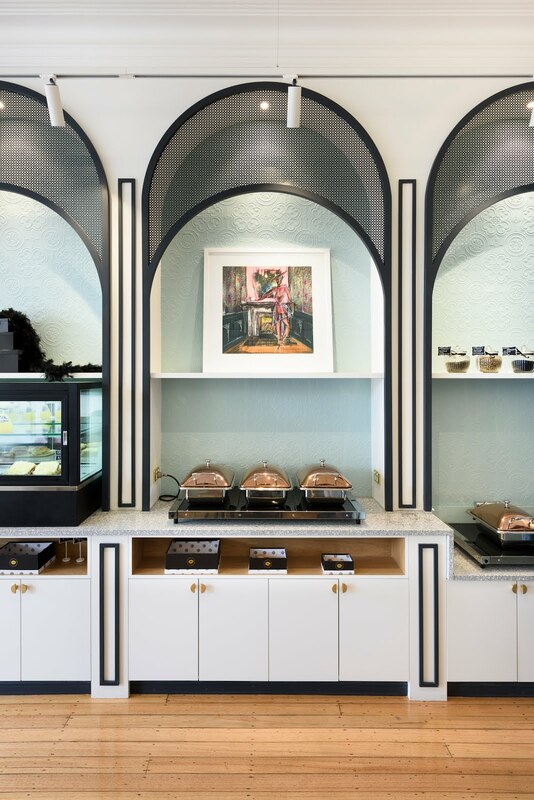 Our clients came to us with the idea to create a French Deli that truly represented the modern French woman. 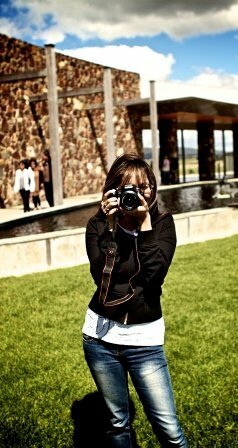 It was to exude elegance but also have a strong sense of playfulness. Adequate representation was also to be given to the food and retail so the clientele would not only feel like they were stepping into a café but also a place that represented something more special. What was the overall vision for the café? Inspired by the boldness but also the cheek of high fashion, Chez Mademoiselle was to be a sassy interpretation of the site’s Victorian Charm, as well as the modern woman. Soft furnishings were juxtaposed against bold steel work which created a balanced palette. Can you take us through the creative process? 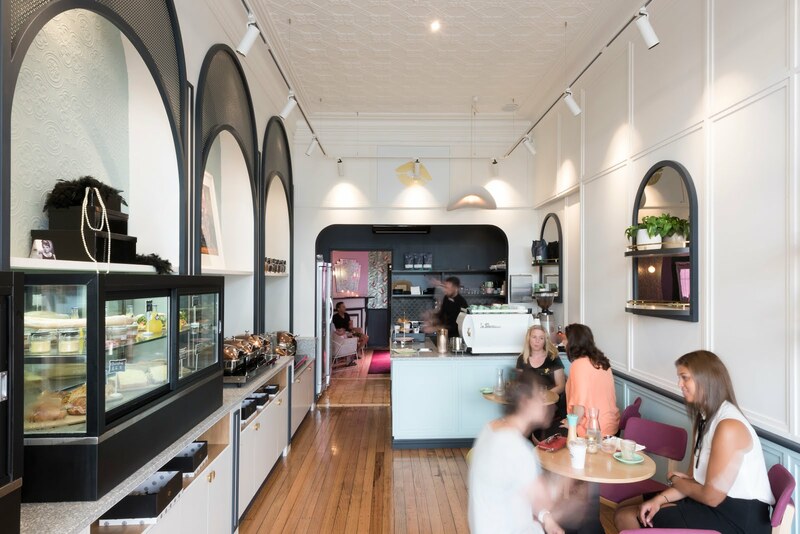 The café is situated on Greville Street in Prahran which has a quirky yet affluent personality. What we felt was quite interesting about the brief was that there was a strong retail aspect. However, as a typical deli usually contains a large counter with all the produced displayed around it, we knew that we had to approach the design differently in this narrow space. This is when the idea of a high-end retail store or fashion boutique was born. 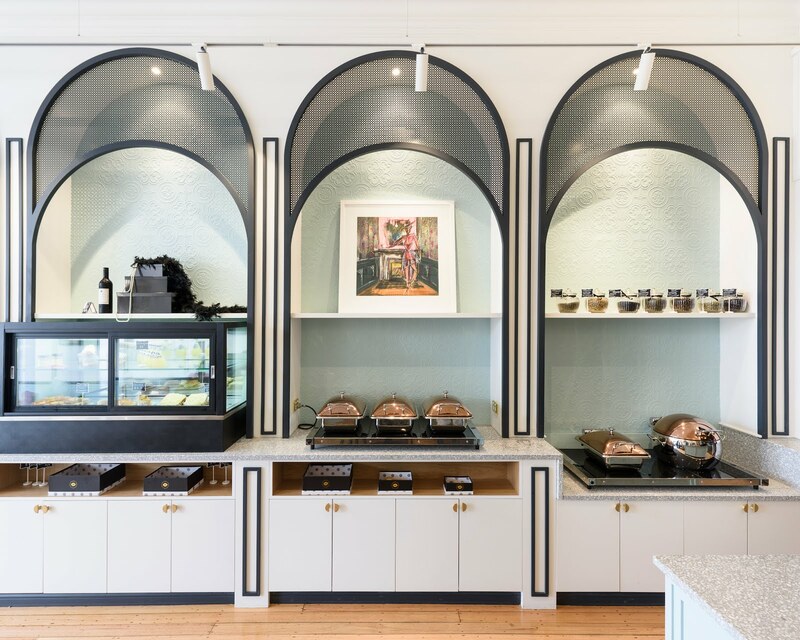 We displayed their macarons, take away treats and wines on well-lit, recessed, arched shelving much like you would find in a high-end fashion store. What creative or design related challenges did you face? Being a heritage listed building there was very little we could do to the bones so we were also sensitive to not make something that alienated the site. What is your favourite part of the design? We really loved how the palette manifested and how it represents something feminine without being girly or alienating for men. 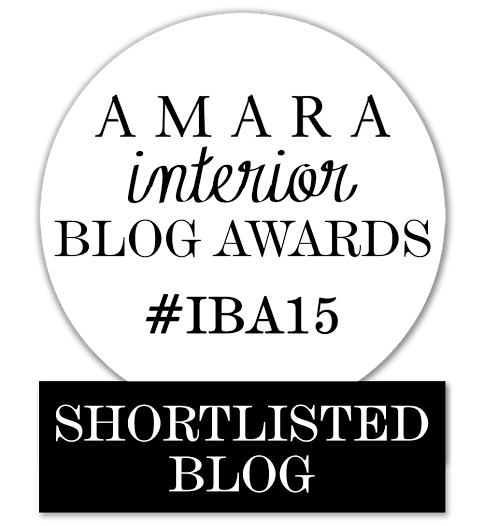 Lighting is always a very important element to interior design and special mention should be awarded to our lighting collaborators. The lighting scheme in the front room focused mainly on suspended directional lights which solidified that retail feel. This also complemented the existing high pressed metal ceilings. 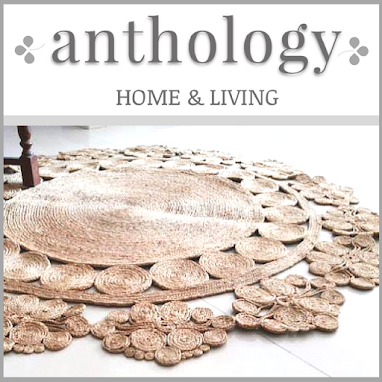 We also paired this with Hat Lamps which were imported from ENO Studio in France. 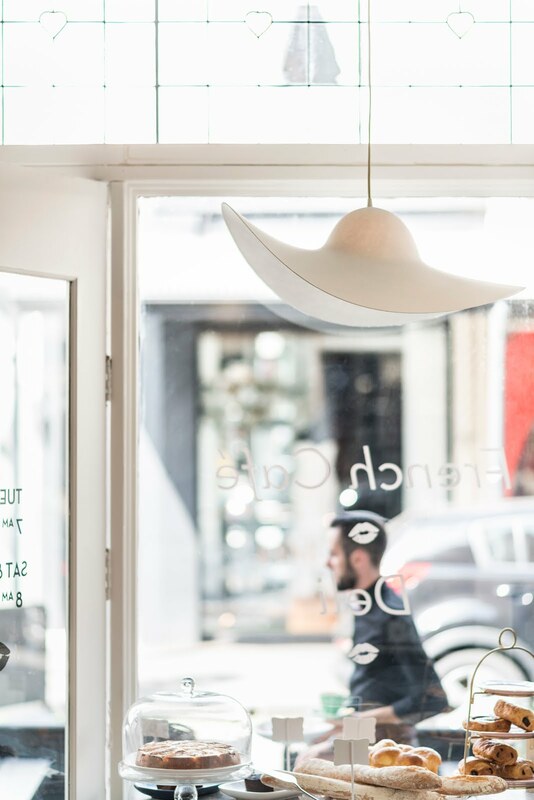 In the back space our custom wall lights were commissioned by local designer Volker Haug. The rose marble back plates and white powder coated frame work provided a perfect companion to our hummingbird wallpaper from English designer Mathew Williamson. What's next in the pipeline for Studio Y? We are a small studio focused mainly on hospitality but are currently taking on residential and also commercial workplace pitches. This is very exciting and proposes new challenges for the Studio. 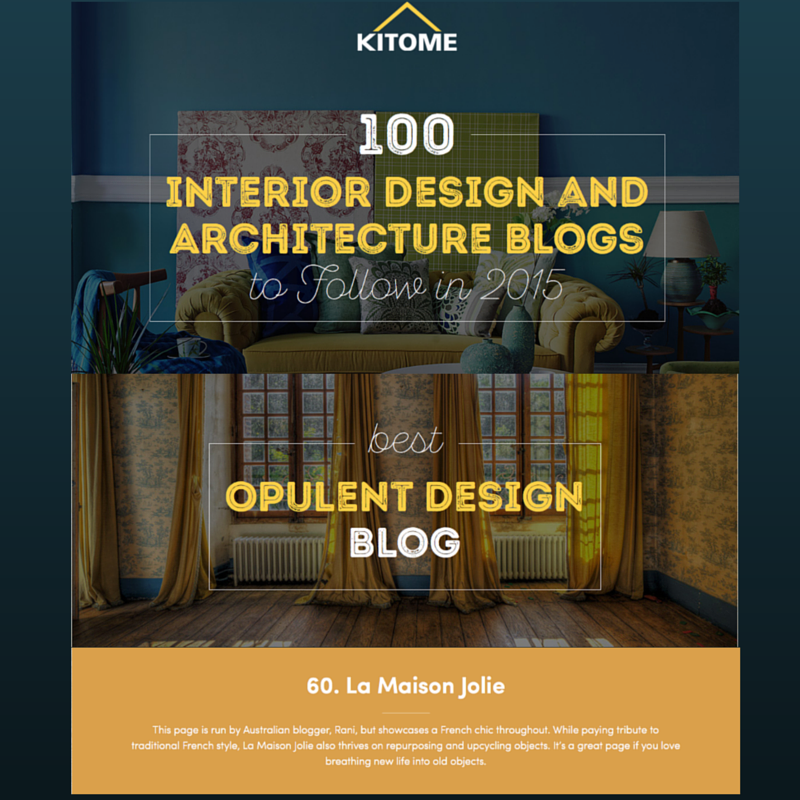 It’s always exciting approaching a new design discipline from a different perspective. 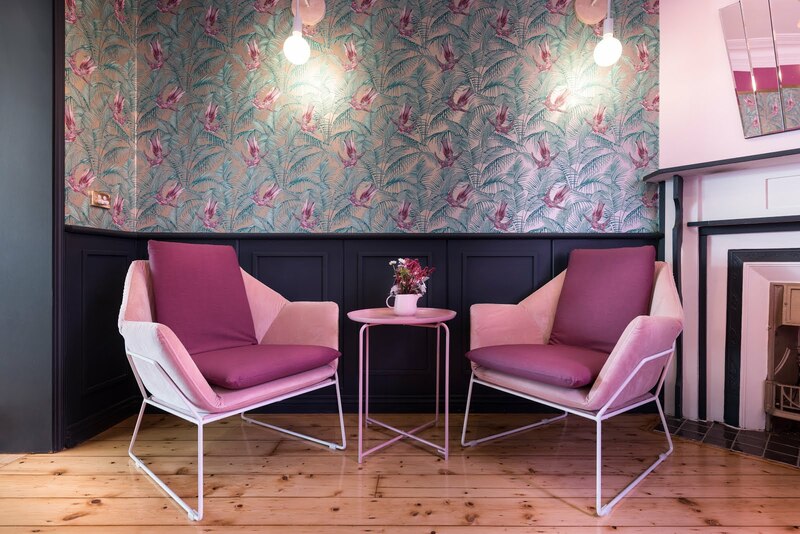 Having a hospitality back ground we know how people play and move around public spaces, bringing that experience into how people live or work can bring entirely new and refreshing design and resolves. Chez Mademoiselle offers a variety of French treats that will make your mouth water. From fresh croissants and divine pains au chocolat to sumptuous savoury baguette sandwiches, heavenly mille-feuilles and tempting macarons, hot lattes and cappuccinos and so much more, Chez Mademoiselle’s delicious delicacies will take you on a journey through France. Here's a quick look at the before and after of the café space. Equally wonderful was the service at Chez Mademoiselle. The French speaking café staff were delightful. A special mention goes to café manager Kevin, wait staff Cecile, Wendell the barista and Stéphane the chef who whipped up a scrumptious breakfast platter. Also a thank you to café owner Tiffany who I didn't the get the chance to meet but whose styling touches were all around. The service was thoughtful, attentive and definitely memorable! 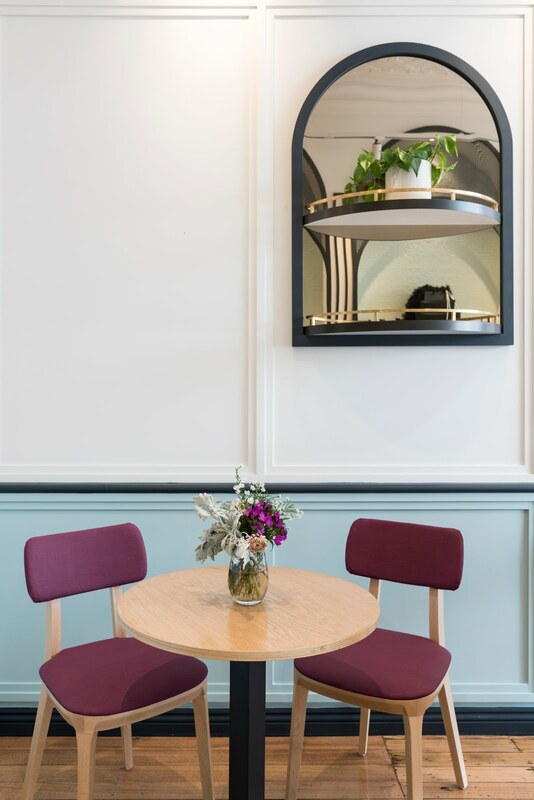 Contemporary design choices, playful pastel colours, the scent of delicious pains au chocolat mixed with that of fresh peonies, and the soft sound of Edith Piaf’s La Vie En Rose playing in the background, Chez Mademoiselle is sure to leave you enamoured! Till next time... visit Chez Mademoiselle to delight in an authentic French café experience! A big thank you to Artmix and Studio Y for the gift voucher to experience the culinary delights and the French café experience at Chez Mademoiselle. Thank you to Shannon McDonald from Studio Y for organising the design interview with Yaron Kanor and Sophie Metcalfe. 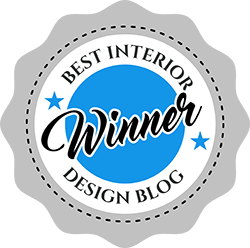 Also thank to the interior designers Yaron and Sophie for taking time out of their busy work schedules for the interview. A huge thanks to the café staff at Chez Mademoiselle for creating a memorable and authentic experience! As always, all thoughts, words and opinions are all mine and genuine. Studio Y’s Lead Designer and Hospitality Consultant, Yaron Kanor, has a hospitality and interior design career that spans continents and more than a decade of end-to-end design successes. Inspired by his experiences living in Bauhaus-centric Tel-Aviv amid its dynamic Mediterranean nightlife, Yaron combined his passion for interior design and hospitality to carve a name for the Y team amid the eating, working and shopping spaces of Melbourne. 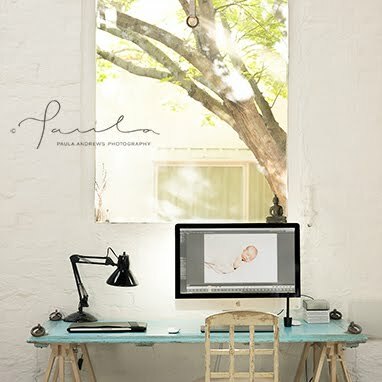 Yaron’s approach to design is non-formulaic, seamlessly marrying big business ideas with the unique aspects of each space and environment. In 2011, Yaron relocated to Melbourne, attracted by what he refers to as Australia’s ‘happy design culture’. Founding Studio Y in 2012, he set himself the challenge to add to Australia’s uncontrived design culture with his distinctive and international flair, building a strong team of design experts who work collaboratively to bring to life each and every project. After graduating from UNSW in Sydney with a BA in Interior Architecture (Hons) in 2011, Sophie Metcalfe was head hunted by Geyer, one of Australia’s biggest independent interior design companies. Cutting her teeth on workplace and commercial design, she discovered that her energetic approach to design was more suited to the “immediate, creative and exciting” field of hospitality. 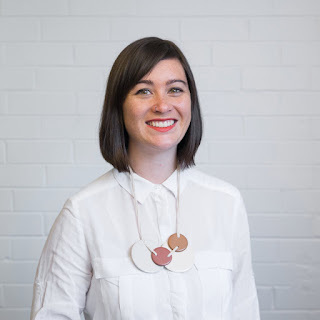 After travelling through Europe and Scandinavia for 18 months, Sophie returned to Australia and moved to Melbourne and seeking a small firm that focused on hospitality she quickly connected with Studio Y.